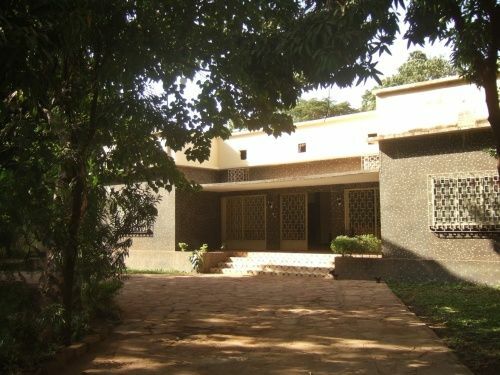 Situated in a quiet area of Badalabougou close to the Niger River, a short walk to local bars, eating places, banks & shops, and just a 10 minute walk into the heart of Bamako. The owners have spent 10 years travelling & leading tours throughout Africa and using their experience have set up a little oasis in Bamako for travellers to use as a home away from home and as a base for further travel in West Africa. 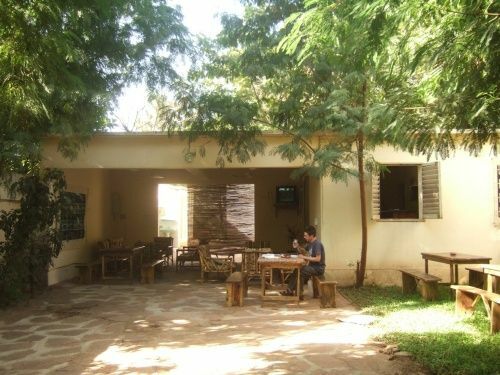 The Sleeping Camel also features its very own well-stocked bar and restaurant, and a peaceful garden to relax in.We have both English and French-speaking staff, and are always happy to help with advice on travel in Mali as well as further afield in Africa. We aim to make your time in West Africa a pleasurable one. We can offer advice on independent travel or if you wish can help you find local guides who have proven themselves to us & can take some of the hard work out of your adventure. We also have a tranquil garden bar/restaurant area, the perfect place to relax with a well-chilled drink after a hot day in the city or a long dusty African bus journey. Our restaurant serves freshly-prepared food, with a menu featuring typically Malian as well as international dishes, available to order from 7.30am-8.30pm. If you would like food outside these times, this can normally be arranged with advance notice.In addition to this, there are also many excellent local bars & restaurants within walking distance.On site services include Satellite TV, free wi-fi for guests, laundry service, free luggage storage, a comfortable common-room area, a book-swap as well as a library of West African guide books and maps to consult. We can also arrange airport transfers. We are situated in Badalabougou Est.From the centre of Bamako:Cross the Niger River on the Pont des Martyrs bridge. Take the 1st left after the bridge, by the hippo playing football. Go past the German Embassy, then take the next left by the Egyptian Embassy. 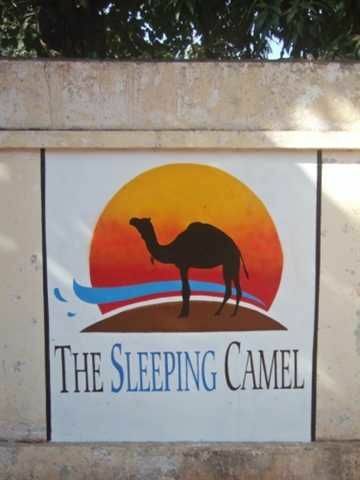 The Sleeping Camel is a short way down this street on the left-hand side.